With the largest road cycling event South East Queensland has ever undertaken just a few weeks away, the hype around pedalling road users is at an all-time-high. But the number of aggravated incidents targeting cyclists is also on the rise, so what is going wrong? Many people in the cycling community believe tension is the result of a lack of collaboration and understanding. From stories in a weeknight television bulletin to viral videos circulating social media platforms, at least once a fortnight new content emerges depicting bike riders being verbally taunted, abused and physically attacked. At the most extreme, there are, and have been numerous Facebook pages and Twitter accounts devoted to the sharing and admiration of people who capture their assault on bike riders. Clashes between drivers and cyclists seem forever present in the news cycle and it’s a war which has been waged for many years with seemingly no-end in sight. But all this time, the warnings and advice reiterated remains the same; give cyclists a metre, be patient, share the road with them as you would any other road user, they pay taxes and registration as well. But is it time we start looking at things from a different angle? From the angle of the cycling community, perhaps. The spark which ignites ninety-nine percent of cyclist vs. driver incidents is the belief that a cyclist is where they shouldn’t be. Stopped in front of a line of traffic at a busy inner-city intersection, or commuting along the narrow Brisbane Corso. Without being vulgar, the most common piece of advice a disgruntled driver will have for a bike rider is to use the infrastructure put in place for them. But after surveying a portion of Brisbane cyclists, it was discovered that most of them are of the opinion that a lot of this infrastructure just isn’t suitable enough. But after surveying a portion of Brisbane cyclists, it was discovered that most of them are of the opinion that a lot of this infrastructure just isn’t suitable enough. 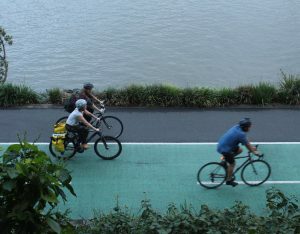 Upon conducting this survey of just a section Brisbane’s active cycling community, those who participated agreed that while small sections of Brisbane cycle-specific infrastructure are adequate “more needs to be done to improve the safety of cyclists on SEQ roads”. A disconnection between users and designers was also sighted, and not a single cyclist who partook in this survey classed the current level of cycling infrastructure as being suitable for regular use. The Map below highlights just a handful of the well-known danger-zones in and around the Brisbane CBD which see a high volume of cyclists on a daily basis. These ‘Danger zones’ have been identified based off information given to QUT News from local cyclists, and the daily vehicle and bicycle traffic volume they see on on daily basis. The stretches of road have been recognised by cyclists who consider themselves to be somewhat at risk when using, or have had incidents occur on. It’s been established that there is a problem in SEQ when it comes to understanding the needs of all cyclists, so what can be done about this? Organiser of the Tour De Brisbane, Mr. Mike Crawley, is confident that the spotlight his unique event will direct onto cycling has the potential to give every subcategory of the sport a voice and put wheels in motion to improve standards and suitability. “As the first inner-city-closed-circuit mass participation event with racing, it’s an incredible opportunity to profile cycling… to talk about road safety, cycle safety, risk mitigation, it’s a great platform” said Mr. Crawley, acknowledging the rare chance it presents for safe-cycling advocacy groups like the Amy Gillett foundation and Bicycle Queensland to take centre-stage. 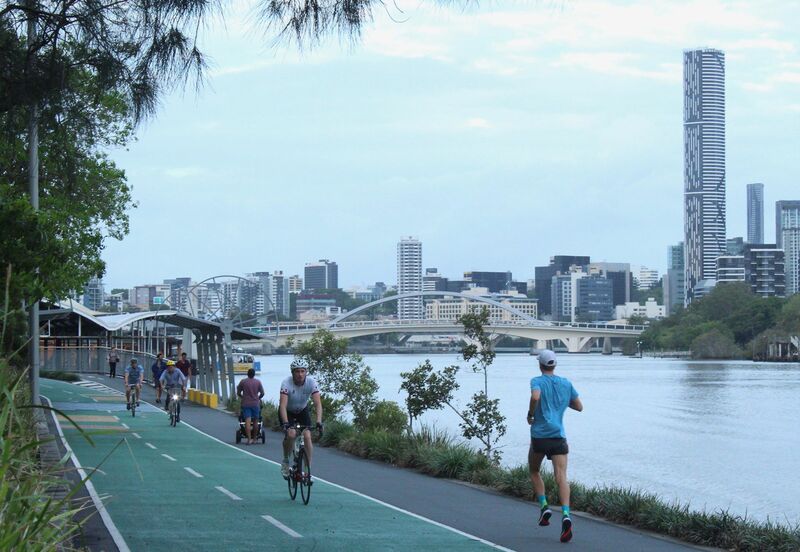 It’s hoped that the cooperation required between council, Queensland roads and police to successfully run this event will mark the beginning of a healthier and more understanding relationship between cycling in SEQ and all other bodies. Mr. Crawley spoke very highly of the collaboration so far between all parties involved in his event, and says Brisbane has a long-term plan for its cycling infrastructure. Crawley also sighted the different requirements for various subcategories of cyclists and feels that catering for them all collectively is the next big hurdle for the river city. he gave particular mention the racing fraternity, explaining that it is quite dissimilar to the rest of the cycling community and tends to stand alone. “For the boys and girls that want to go out and train hard, their requirements are different to those who are commuting for instance” said Crawley. The scale of the Tour de Brisbane is unlike anything ever undertaken in Australia and it’s certainly going to make its presence known come April 14th. The hope of all involved is that it will demonstrate the capability and willingness of Brisbane to host events of this calibre, whilst also raising awareness around the importance of making room for a sport which continues to gain Australian popularity. Currently in Australia, the focus of cycling advocacy groups like the Amy Gillett foundation is education, because educating road users and cyclists is something that can be enacted now. Registration for the Tour De Brisbane is still open, and participants are able to participate or compete in one of four events on the day: The competitive 110KM UCI World Series Grand Fondo, the 110km recreational ride (non-competitive), the Amy Gillett 45km Piccolo ride and a free Sunday Mail 8km ride. Race Organiser for the Tour De Brisbane, Mike Crawley talk’s through the events various route’s. 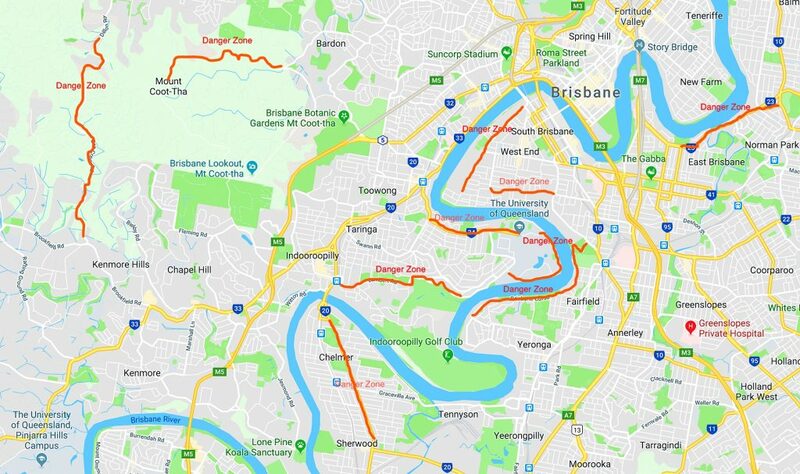 To register for any of the Brisbane Cycling Festival TDB events click here, Alternatively, to find out more about closures and which roads around you may be effected by this event on April 14th click here.